Negotiators’ agreed draft text for a United Nations political declaration on ending tuberculosis worldwide has been posted for all member states to see, and negotiators hope, not comment on. Under a UN procedure, the text has been placed “under silence” until 10:00am New York time on 14 September. If no one breaks the silence, the text is considered agreed and will advance to the High-Level Meeting on tuberculosis on 26 September as part of the annual UN General Assembly. The draft text was made available by the co-facilitators for review here. The text includes a letter from the co-facilitators explaining the silence process. The co-facilitators are Walton Alfonso Webson, ambassador of Antigua & Barbuda to the UN, and Koro Bessho, ambassador of Japan to the UN. Intellectual Property Watch last week (IPW, United Nations, 5 September 2018) released a leaked version of the final compromise paragraphs, which relate to intellectual property. The compromise was reportedly negotiated by representatives from the United States and South Africa. 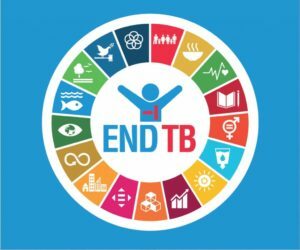 The 16-page draft declaration sets out principles – such as the basis that TB is preventable and curable, and affects all populations but inequitably – and a series of fairly broad commitments, such as to build capacity, promote and encourage research, and mobilize funding. The declaration calls for a progress report in 2020, and a next heads of state-level High-Level Meeting in 2023.